This article will take an in-depth look into the airline that has been deemed the world's deadliest, China Airlines. Can repeated crashes and excessive fatalities be written off as bad luck? Or is a pattern of destruction at play? The mass-destruction of a fatal airplane crash unites complete strangers, and headlines international news time and time again. Whether these broadcasts are contributing to a culture of fear is irrelevant. What matters is why these tragic crashes happen, if they can be avoided, and whether or not airplane safety can be broken down into a simple formula. To find the deadliest airlines we looked at the total number of hull losses (when an aircraft is destroyed beyond repair) and fatalities in the last 30 years. This ranking was determined by Jet Airliner Crash Data Evaluation Centre and also takes into account the number of miles flown, the number of passengers received, the airline's national safety rating, and it places more significance on recent accidents. Korean air is rated 5th and not 2nd because of these additional factors. This means that China Airlines with 8 hull losses, and 755 fatalities is the deadliest airline of our time. Interestingly, the deadliest airlines of all time were not among the top 5 for the last 30 years. Aeroflot Russian International Airlines, Air France, and Pan Am have incurred the most fatalities of any commercial airlines; having 10,024, 1788, and 1646 fatalities respectively. However, the majority of these accidents occurred prior to modern technology and safety advancements, thus excluding them from the contemporary ranks. Qantas has not had single fatality since 1951, and Finnair has not had a fatality or hull loss since 1963. China Airlines has been deemed the deadliest airline of the last 30 years, and according to the Bureau of Aircraft Archives it is the tenth deadliest commercial airline ever. Is the answer in the fleet they fly? Of the airline's 8 fatal crashes, two were on Airbus 300-600's, another two occurred on Boeing 737-200's, and two others were on Boeing 747-200's. Interestingly, of all popular commercial airplanes, the Boeing 747-200 has one of the highest aircraft fatality ratios with 5.1 deaths per aircraft built. In fact, each of the jet aircrafts that were piloted (and crashed) by China Airlines have above average fatality rates. To compare, we've looked at the fatality ratios for some of the world's safest commerical aircrafts. These statistics were last updated 08/2011. The Airbus 319-119 is among the world's safest commercial airplanes with no deaths occurring aboard any manufactured plane. 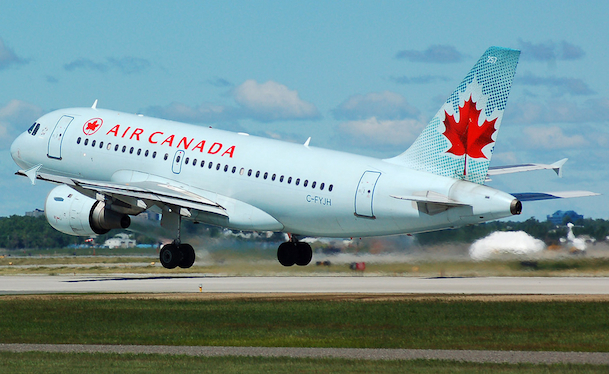 Air Canada currently operates 38 Airbus 319's, alongside many of the other safest aircrafts. Air Canada has not had a single fatal crash since June 2, 1983. Is this coincidental, or can the type of aircraft really mean life of death? Now let's look at the ratios for the aircrafts fatally crashed by China Airlines more than once in the last 30 years. These three aircrafts statistically rank among the deadliest of all commercial airplanes. They were each fatally crashed twice by China Airlines, and were crashed by several other commercial airlines (United Airlines, Kalitta Air, Air France etc.). The Boeing 747-200 is among the world's deadliest commercial airplanes with an average of 5.1 deaths per manufactured aircraft. In general, larger commercial aircrafts are safer than smaller planes. To zero in on a popular commercial plane, we'll look at the Boeing 737 series. Approximately 2.5% of all Boeing 737's have been crashed beyond repair. The deadliest of the Boeing 737 series are the Boeing 737-100, 200 and T-43. As of 2011, 1172 of these models were built, and 134 were destroyed in crashes which killed a total of 3326 passengers. This places the hull loss rate of a Boeing 737-100, 737-200 and T-43 up to an astonishing 11.43% per plane built. Compare this to the Airbus A319-100, which has been manufactured more, and has only resulted in one hull loss ending in zero fatalities. Although the fatality rate for the Boeing 737 may sound high, the average Boeing 737 flies an upwards of 70,000 times with more than 1 million passengers over its lifetime. In fatal plane crashes it is often difficult to piece together the final moments before disaster. Were there unavoidable mechanical issues with the plane? Was bad weather a factor? Or was human error mostly responsible for the devastation? The safest airlines in the world (such as Finnair, Qantas and British Airways) recruit the best trained and most experienced pilots. These airlines generally have more vigorous application processes, and have implemented structured programs to ensure only the most qualified pilots are hired. 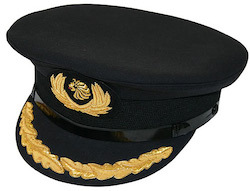 In the 1990's China Airlines was hiring mostly ex-Republic of China Air Force pilots. These pilots were not civilian-trained and had no proven track records of flying commercially. 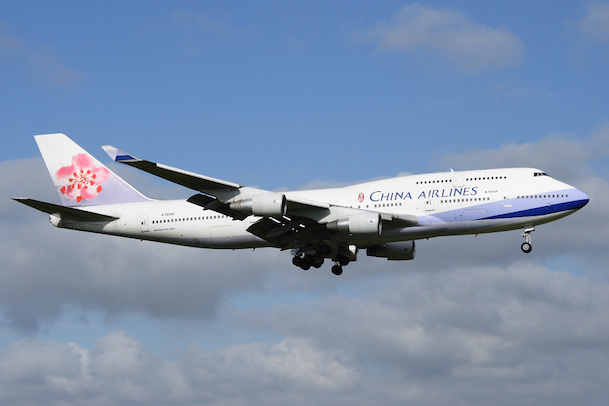 One of China Airlines largest crashes on February 16, 1998 involved an Airbus 300-600. Upon landing, the airplane crashed into a residential neighbourhood and burst into flames, killing all 196 people on board. The two pilots operating the aircraft were hired directly from the Taiwanese Air Force. Uncle Sam: We Want You! Both China Airlines and Air India (which ranks third deadliest) actively recruit pilots to fill vacant jobs, but statistically safer airlines have no recruitment initiatives and still have a surplus of applications. One could question if probing for interested pilots is lessening the quality of the airline's rosters. In 2007, Air India visited classrooms in the hopes of recruiting 500 final year Bachelor of Science students. The airline gave students an aptitude test and sent those of interest abroad for on-ground training. Similarly, China Airlines has extended their pilot recruitment initiative to reach students nearing graduation. The selected students will undergo a multi-level screening process and then be sent abroad for a year of ground school. Throughout North America and Europe the competition for pilots is increasingly stiff while piloting jobs remain sparse. The cost to train as a pilot at Lufthansa's renowned flight school in Germany can run students nearly $100,000 USD; even though the unemployment rate for pilots is double Germany's national average. Across North America and Europe, the supply of pilots far exceeds the demand. This allows for airlines to up the ante in terms of a pilot's experience and entry requirements. In fact, regulators have recently increased the minimum training requirements for pilots flying on US airlines. This excess of talent is a luxury not afforded by less reputable airlines with unfavourable track records. Undoubtedly, Air China's fervent recruitment of fresh graduates and its former easy-stream of military pilots has hindered their safety rating. In Malcolm Gladwell's unforgettable chapter of Outliers--his critically acclaimed bestseller--he looks at the cultural implications behind plane crashes. He argues that both the Boeing and Airbus are built to be flown by two equals; working flawlessly in democratic countries. 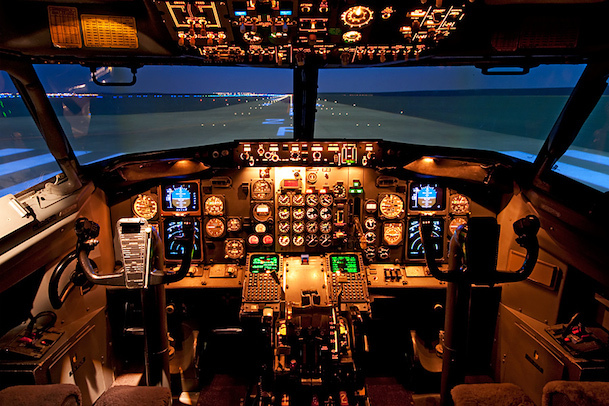 However, in cultures with deep hierarchical foundations, this cockpit partnership is not as seamless. Gladwell explains that when complications arise, the dynamic between a superior and an inferior can be disastrous. Instead of a first-officer interjecting at the first sign of trouble, they may not react out of respect for the captain. This type of subservient-driven censoring can be catastrophic in the midst of trouble. Following government initiatives, Air India has opted to reserve a set number of pilot openings for the scheduled castes and scheduled tribes of India. These castes and tribes are the most socioeconomically depressed groups in the country, sometimes referred to as the "untouchables". In a nation where the gaps of equality are enormously swollen and a caste system still exists, can two very different people work harmoniously in the cockpit? Malcolm Gladwell's controversial argument draws an interesting connection to a nation's socio-political undercurrent and the ability of two pilots to mitigate disaster. Could this argument hold any validity in reference to China Airline's and Air India's "cockpit culture"? Although no one is exempt from being caught in the wrong place at the wrong time, bad luck has not put China Airlines at the top of the deadliest airline rank. By flying a fleet with above average accident rates and hiring under-qualified pilots, the airline has already increased their chances for impending disaster. Combine this with other national and cultural factors, such as lower safety standards and a powerful hierarchical undercurrent, and the odds have become even greater. In this sense, China Airlines has created the perfect storm. Through a collective web of shortcomings, China Airlines has achieved it's morbid number one rating. 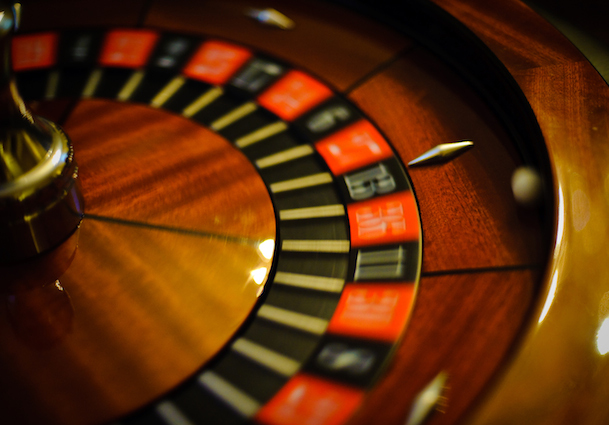 Not one factor alone leads a plane to crash, but rather a multitude of risks that tips the odds over the edge.